For centuries, civilizations have up and abandoned their roots. For some reason or the other, entire populations have migrated, either willingly or grudgingly. However, what they left behind tells the story of days that remain frozen in time. Such places are living, breathing slices of time that narrate the tales of a bygone era. 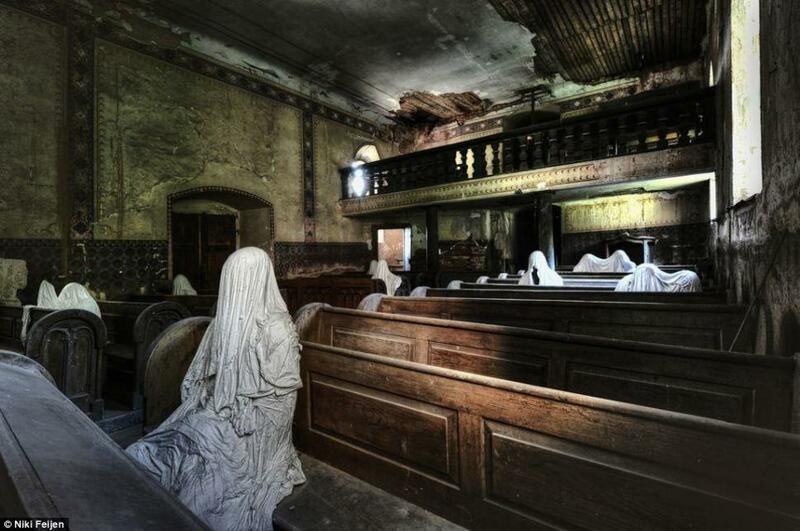 These abandoned places all have a tale of their own. Nara Dreamland was built in 1961 right after Disneyland became a rage. The entrance to the park was made to resemble that of Disneyland, and even included a spin-off of Sleeping Beauty’s Castle. The park closed in 2006 because it couldn’t draw sufficient visitors. The Glenwood Power Station was built in 1906 but quickly proved to be inadquate. After shutting down in 1968, the desolate sight was used as a backdrop for thrillers and zombie movies. The city of Chernobyl was deserted after the nuclear disaster in 1986. Due to lethal radiation, very few have dared venture there. The site is expected to stay abandoned for thousands of years into the future. Nature now rules the city. In 1910, this palace was built for Polish royalty. The rest of the century proved disastrous for the country, and under communist rule, the palace became an agricultural school. Later it was also a home for mentally handicapped adults and children. The former palace was simply deserted following the fall of the USSR and now stands in ruins. Many American soldiers based on the Western front during World War 2 purchased cars for personal use. When the war ended, they proved too expensive and cumbersome to ship back home. Instead of taking the burden of shipping these rather ordinary cars, many were left abandoned in this eerie graveyard. Gary, Indiana, was established in 1905 during the high time for US steel manufacturing and the industrialization era.. During the 1950s, more than 200,000 people toiled in the bustling city. As the manufacturing sector declined, almost half the city fell into disuse, including such once-magnificent structures. What once was the beginning of something that brought smiles and joy to many children has now become decadent… and capable of producing real nightmares. Poveglia is an island in the Venetian Lagoon. Under the rule of Napoleon Bonaparte, it became a dumping ground for plague victims. Later the place was also intermittently used as an asylum for the mentally ill. The Jet Star Roller-coaster was left submerged in the Atlantic Ocean after Superstorm Sandy in 2013. It bravely fought the waves for six months, before being salvaged. Lake Reschen is an artificial reservoir which submerged several villages and a 14th century church. When the mines ran out of the precious metal, all the equipment was hauled out, expect these tracks. Now mother nature has accepted them. The Mare Island Naval Shipyard acted as a submarine port during both of the World Wars. In the 1990s, the building was abandoned, and flooding has since created an amazing mirror effect. Once giving access to the beach, the walkway that connected this staircase to the bluffs has rotted away, making it one of the most beautiful stairways, that leads to nowhere. Spreepark, opened in 1969, was the only amusement park in East Berlin during Soviet rule. When the wall fell, much bigger and better parks opened, leading to Spreeparks closure in 2001 owing to dwindling appeal. The “little belt railway” was a circular railway system built in 1852 to supply Paris with rations. When the city outgrew its defenses in 1934, the railway system was also left to run wild. Today it has become one of the best walkways covered with nature. Abandoned and now desolate places have a lot to say about the history and culture of the place from a bygone era. Though left to rot in the urban wilderness, these monuments are silent witnesses to the passing time and advancement of civilization.